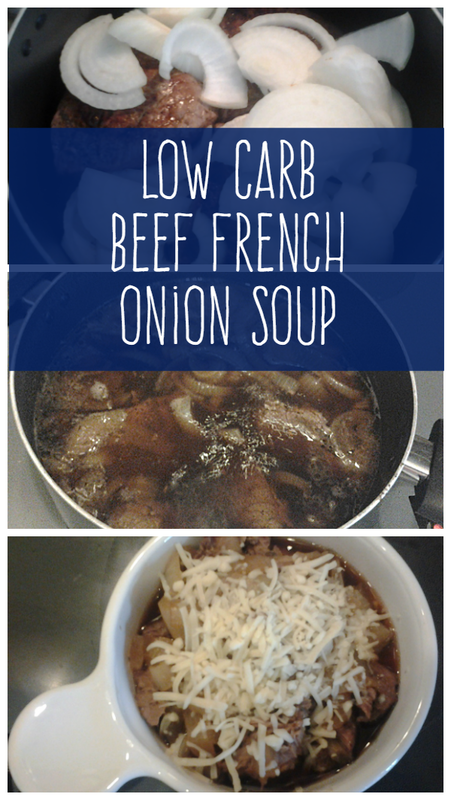 Those who don’t follow alow carb eating plan can add some French bread or croutons prior to sprinkling the cheese at the end, for a more traditional French onion soup. 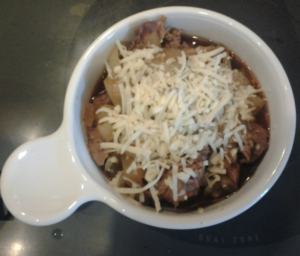 In place of the beef broth, I use concentrated beef base mixed with water. You can find concentrated beef base or stock in a jar in the soup section of most grocery stores. I find it easier to keep a small jar of beef base on hand than to regularly buy cans of broth. Season the meat with salt and pepper. Spray a dutch oven with cooking oil and brown all sides of the roast over medium heat. After the meat finishes browning, add the onions and cook until they’re soft, about 5 minutes. Add the wine and cook for another 5 minutes. Add the broth and thyme and bring to a boil. Turn down the heat to low and simmer for 2 hours. Halfway through the cooking time, cut the meat into four pieces and season with a bit more salt and pepper. To serve, chop the meat into small pieces and spoon meat, onions and broth into bowls, then sprinkle with cheese. 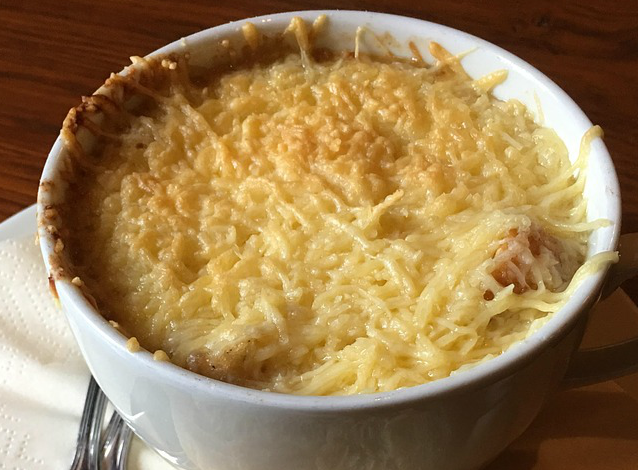 Optional: Pour soup into oven-safe bowls and broil until cheese is browned.